Diane sold both sides, buyer and seller. 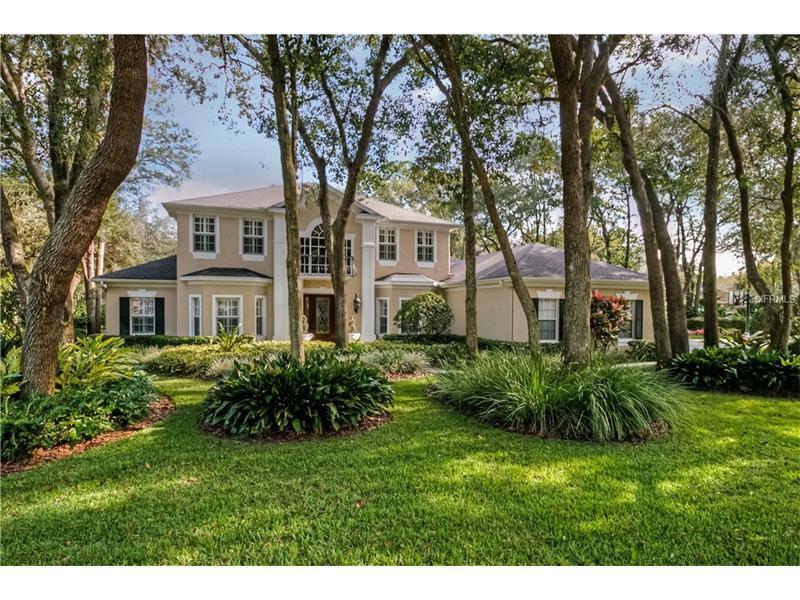 Elegant South Tampa style home on almost an acre of lush landscaping in gorgeous, gated Fish Hawk Trails! The quality and exquisite detail of this home is apparent as soon as you drive up. The home has 5 beds/4.5 baths, office, bonus and a private Guest Suite/Mother-in-Law Suite/Game Room with full kitchen, living area, bedroom and bath with Jacuzzi tub. Enter the home through a beautiful leaded glass door to a captivating foyer with 20 ft. ceiling and sweeping staircase. Formals, office and family room are dressed with rich hardwood flooring. Gourmet kitchen features beautiful two tone cabinetry, thick granite, center island with roll out drawers, breakfast bar, walk in pantry with leaded glass door and shelving by California Closets, beverage center with wine cooler and eat in area that overlooks the sparkling pool. Family room has built in shelving and gas fireplace. All living areas including master suite center around the pool/spa with pavered decking and outdoor kitchen area making entertaining a delight. No expenses were spared on the many upgrades including crown molding and plantation shutters thru out, columns, art niches, wainscoting, trey ceilings, wide baseboards and quality lighting fixtures and ceiling fans. Other notable features include: generator, water softener, well for irrigation, sound system thru-out home and pool area, central vac, landscape lighting, Aqualink auto control and auto drain/fill for pool, floored attic storage and more. Seller is offering a one year home warranty.